Ditch fad diets for weight loss! Resolution fatigue setting in yet? We almost can’t help ourselves. The turn of the calendar has us all thinking, “What do I want to accomplish this year?” There’s nothing wrong with committing to a fresh start. Resolutions are not all bad, but they do tend to have characteristics that make them unsustainable [we’re talking to you, fad diets for weight loss]. We become focused on the outcomes without paying attention to behaviors that make them possible long-term. Setting a goal that is not behavior-based is the most common mistake with nutrition goals. This practice sets us up for failure. Losing weight, controlling blood sugar, lowering cholesterol, and improving physical fitness are not behaviors – they are outcomes. Additionally, focusing on unsustainable behaviors promoted by many diets for weight loss like counting carbohydrates, eliminating food groups, counting food points, working out two hours per day every day, or doing a juice cleanse [yikes!] can become overwhelming and self-defeating. As much as diet focused companies and advocates want you to believe it, research consistently shows that there is no black-and-white solution for everyone. There are no quick fixes, but working with your dietitian and credentialed healthcare provider to set a plan that works for you and your lifestyle can go a long way to establishing behavior change that sticks – and when behavior change sticks, outcomes [whatever they may be] can become reality. Pantry cleanse anyone? Ditch the juice cleanse and instead stock your environment with foods that promote wellness. Kitchen environment is a major determinant in achieving nutrition-related health goals. If you have a pantry packed with highly-processed foods and a drawer full of take-out menus, it will be difficult to eat healthfully and nourish yourself with these distractions. 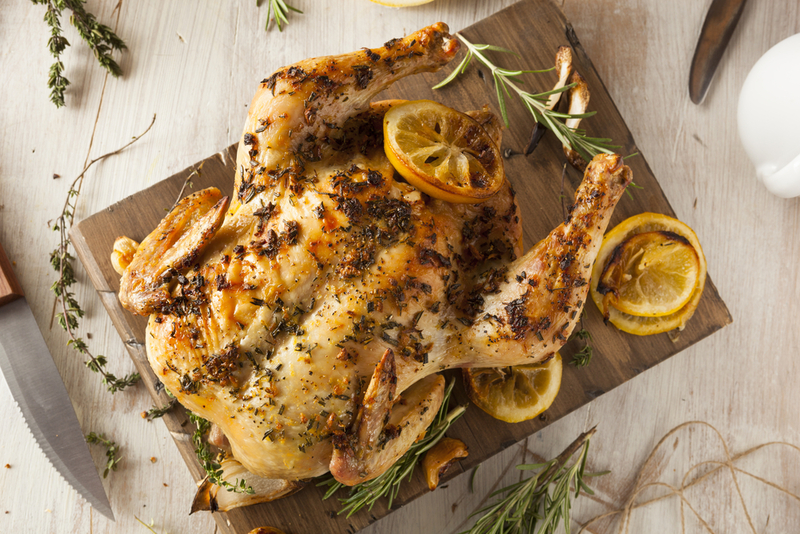 Check out this grocery list for ideas on stocking a healthy kitchen. We don’t mean following a meal plan verbatim [another unsustainable behavior like restrictive diets for weight loss]. Using a meal plan provided by your dietitian as a guide can help you identify those recipes that most appeal to you and your family. Set some meal planning goals that fit your lifestyle and budget and remember, there’s no shame in repeating recipes from week to week [just ask my family] – select favorites and make them until you’re a pro! Select two no-cook recipes each week and scale to meet your needs. A perfect example of this would be any one of our chia pudding or overnight oat recipes. Energy bites or bars are another terrific option. Order meal kits or have meals delivered [gasp!] Yes, that’s right. This dietitian is all about making sure you can meet your health goals even if you’re super busy. We have partnered with Sun Basket [50% off first order] and Epicured [use code LIVINGPLATE] to be sure that even if you don’t have time to shop and/or cook your meals, you’ll always have healthy food available. Batch cooking is not about preparing entire meals to eat as leftovers [although this is an excellent idea!] Batch cooking is about preparing single meal components in bulk, then enjoying them in a variety of ways throughout the week. Batch cook plain quinoa and store in a covered container for up to four days. Quinoa is great as a savory edition to salads and side dishes. It’s also a terrific breakfast option: Quinoa + almond milk + frozen wild blueberries + pistachios + cinnamon = super yummy 3-minute meal. Roast some sheet pans of vegetables and store covered in the refrigerator to enjoy as side dishes or tossed into salads. The key to enjoying pre-cooked vegetables is the seasoning. Roast simply, with a bit of olive oil, salt, and pepper, or steam vegetables and serve with an interesting dressing [see following tip]. 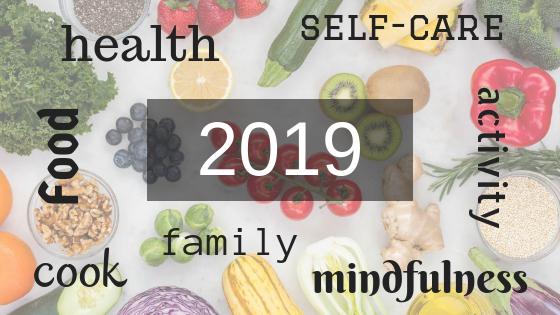 Looking for a health coach to guide you in meeting your 2019 goals? Let us introduce you to a credentialed registered dietitian in your area who has the training and evidence-based knowledge to help make your desired outcomes become reality!